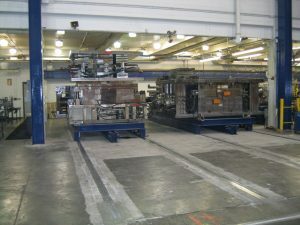 Manufacturing processes consist of a huge variety of techniques and methods. We enjoy applying these processes to improve the overall efficiency and productivity of plant floor operations. We are also keenly aware that all of the advantages of these processes can lead to almost nothing if material handling is not a prime consideration in the overall manufacturing operation. At IA, we understand that material handling is crucial for transferring an assembly or component to the next stage in the production process. 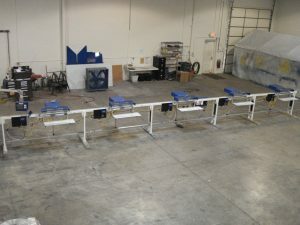 We also understand that material handling has to continue on down the line all the way to the shipping dock for final transport of the product to the end user. 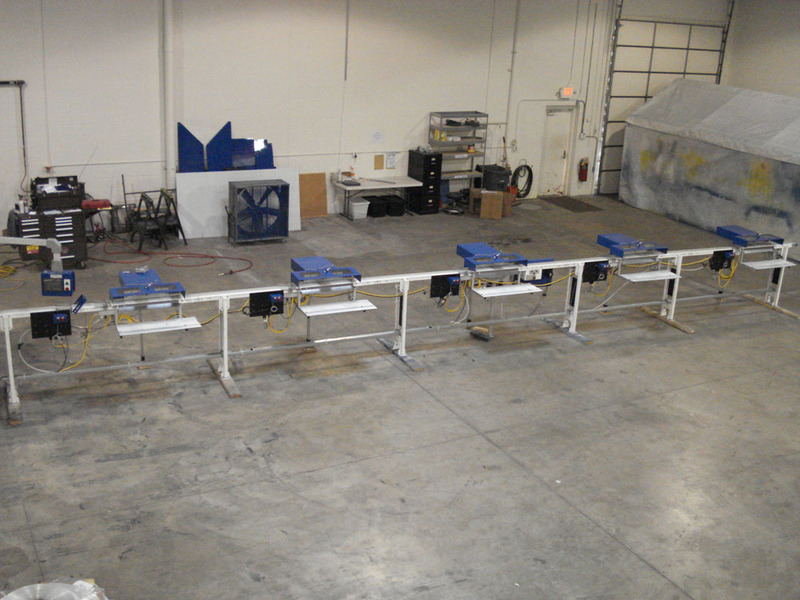 Until that product makes its way onto a truck and is delivered to your customer, there is still work to be done. 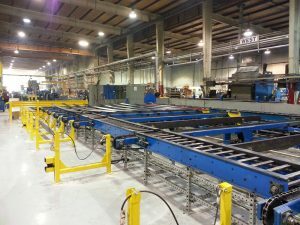 Providing and efficient material handling system is every bit as critically important as improving the overall efficiency of the assembly process that it services. 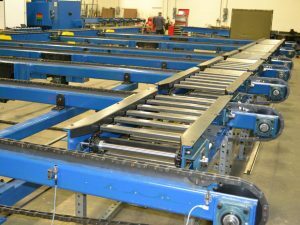 Our material handling systems have accommodated the handling and packaging of very small components such as nuts and screws to large automated methods for handling red hot extruded steel or moving die plates in and out of large stamping presses. 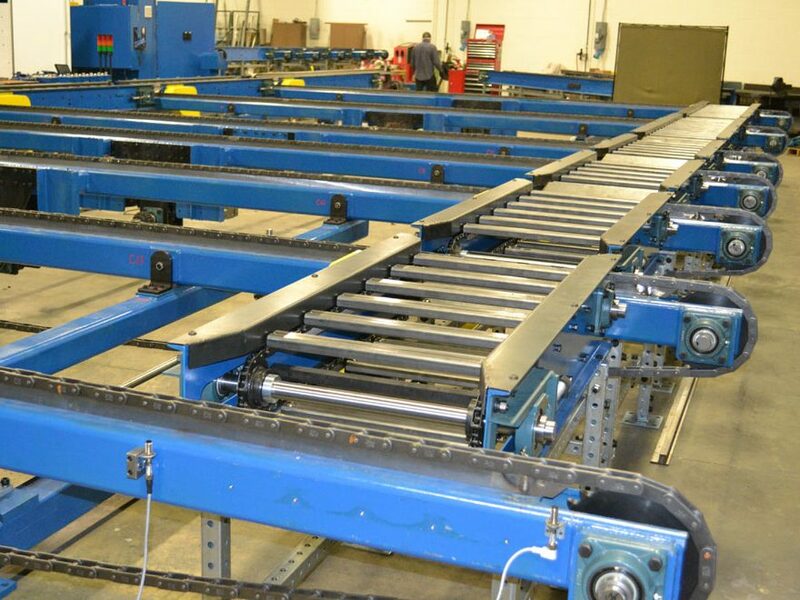 We have developed smart conveyance systems that can send multiple part variations down the line and deliver the correct part to the correct assembly station. 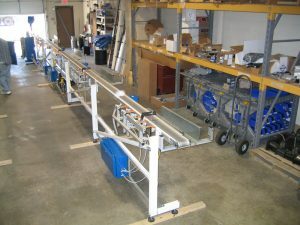 We have completed systems where manual handling would have been tedious and laborious. We have also completed systems where manual handling would have been impossible or even dangerous. 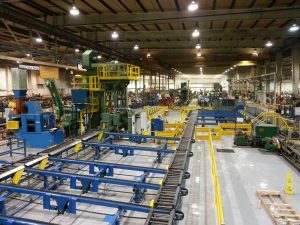 We welcome the opportunity to utilize our innovative engineering creativity to support your material handling requirements.